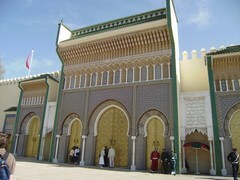 Arrival at the Menara Airport pick up and transfer to an hotel or riad, accomodation in B&B. 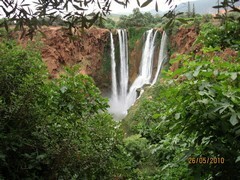 Transfer to the beautiful waterfalls of Ouzoud (wonderful waterfall 100 meters high). Lunch and then we will go to see the huge lake of Ben The Ouidane, located within the magnificent picture of the High Atlas. Arrive at Afourer, a little town up in the mountains of the Atlas. We will continue to Beni Mellal, a small town where the orange trees, olive, fig, pomegranate, apricot, peach trees grove, with stops to admire the stunning landscape of the Middle Atlas, Dinner and overnight in hotel or riad in half board. 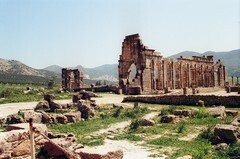 Link road until crossing the Emdi Atlas Meknes, visit of the city (the tomb of Moulay Ismail, El Hedime Square, Bab Mansour) and moving to the Roman archeological ruins of Volubilis. 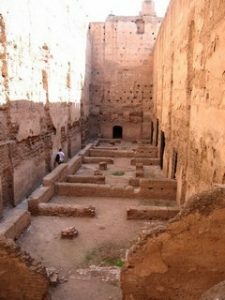 Stroll through the Roman town and arrival to Fez. Dinner and overnight in a riad. Visit to the town, its architectural riches, the fascinating Medina and its magnificent historical monuments, the town is the cultural capital of Morocco. Dinner and overnight in hotel or riad. Journey through the Middle Atlas, visiting the “Alpine” Town of Ifrane, its impressive forest of centuries-old cedars and small monkeys. Then we will go into the foothills of the High Atlas in the population “of the couple Berber” of the Berber village Imilchil famous for their customs, under which girls of the tribe of the Ait Hadiddou often choose their husbands. 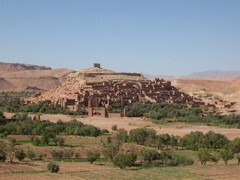 This town is located in the High Atlas. Dinner and overnight in guest house or hotel. Trip of real mountain all by track, crossing the High Atlas, visiting centuries-old villages excavated on the slopes of Stone Mountain and visiting the beautiful Amellago Gorge, to reach finally the desert in Merzouga. Dinner and overnight at the Lodge Kasbah Nasser Palace. After breakfast, return to the track to see dunes: the 2 oasis of Merzouga, nomads in tents, the people of Khamlia (black people), Mifiss mines, desert plateaus, the oasis Tissardmine. Return to the hostel about 3 p.m. Then mounted on dromedaries, we head for the dunes to attend the sunset and sleep in one wild oasis located two hours away from the village. Magical night under the tent. New day desert where 150 km per track, beautiful landscapes, rivers of sand, ruins of the French fortress of Oubahalou, villages where henna is grown, and reached the village of Alnif. Lunch. Then we take the trail that passes through the Jbel Ougnat to Tinerhir and the spectacular Todra Gorges where they guard the foot of the cliffs. Dinner and overnight in hotel or riad. 120 km of track and stunning scenery spots in Sarhro Jbel, with pinnacles of rock at 2000 meters altitude and impassable canyons oasis. A mountain road to enjoy walking and admiring this beautiful pre-desert area, until the palm of the Draa River, with its more than 150 km. palm online. Dinner and overnight in a luxury riad. Visit to the Koranic Library and to the ceramics factory in Tamgrout, track 60 km through the villages of the Draa River Valley passing through the towns of Ouarzazate and Agdz. Dinner and overnight in a riad. 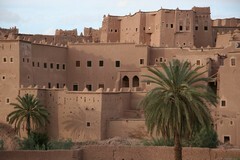 or riad, located close to the medieval walls of Taroudant, in half board. 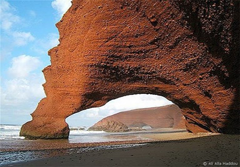 Route through the mountains of horticulture Argane and Agadir to climb the Atlantic beaches from Cape Rhir to the enigmatic Portuguese colonial city of Essaouira with some several stops to the fishing villages. Dinner and overnight in a luxury riad. In the morning visit to the Medina. Lunch at the door and then walk along the beaches of Essaouira. Transfer to Marrakech. Dinner and overnight in a luxury riad. 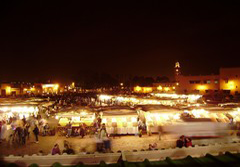 Visit to Marrakech, discovering its old town (Medina), its colorful souks, the famous square Jamaa el Fna and its animation during day and night. Overnight in a luxuryriad in B&B. Transfer to the airport and end of the route. We can change the order of this tour depending what do you like to see and discover and how many days you have to spend in your trip, and what do you want to see in Morocco.